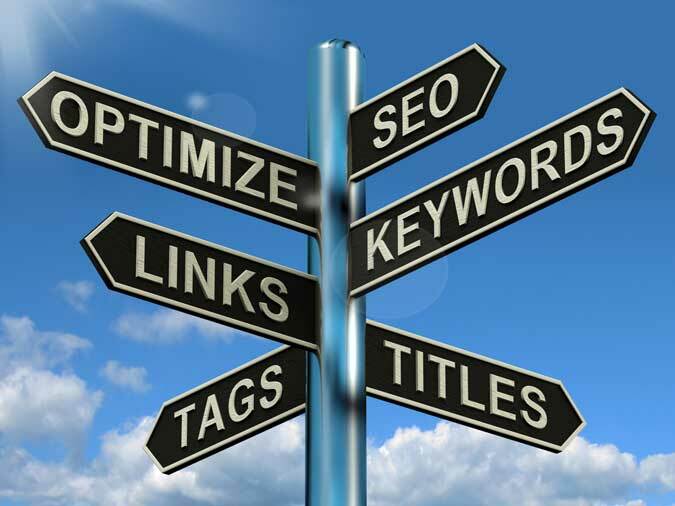 If you want your site to rank higher in search results you have to add a description and some keywords to your pages. 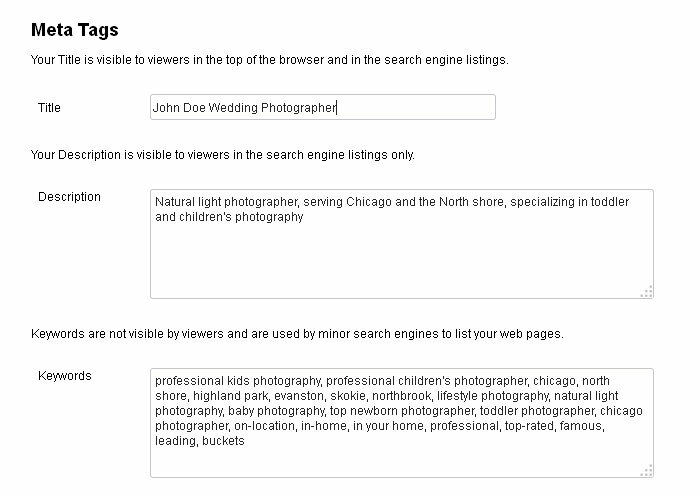 We’ll show you how to get the most out of your CMD websites meta tag section. First login to your CMD dashboard and click on the website setting button on the left side menu bar. From there click on the meta tags tab. You should see something like this. See all the red X’s? They are fields that have no data yet. We will be changing that. First click on the edit button for the home page. Lets start with the title, I know its already filled in, but by default it only get auto filled with the page name. We can do better then that. Let change it to something more relevant to your site. Leave the home part there and put a dash after it so it looks like this “Home -” after the dash add some text that is relevant to your site. Something like “Home – John Doe Wedding Photographer”. Now lets move on to the description field lets add a description of the page this should be about one sentence in length. Last but not least, is the keywords field. Let fill this in with between 15 and 20 words that is a good amount don’t using a large number of keywords is not practical and could actually end up harming the website search results. 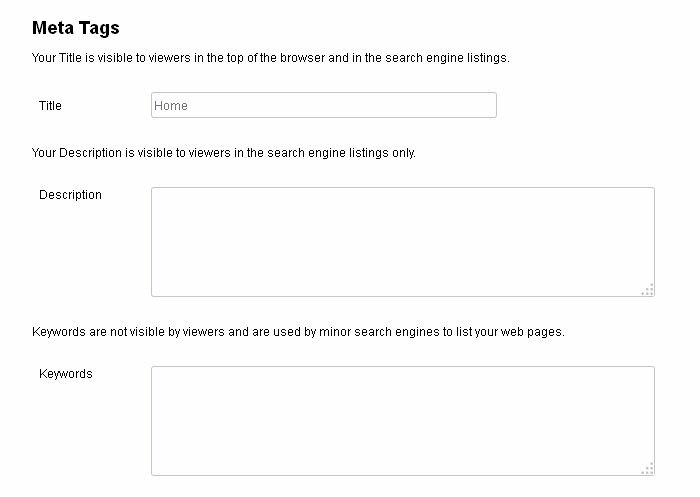 This is what your home page meta tag section should look like after. Now just finish off the rest of your pages. The keywords can stay about the same maybe change some words to better describe the content of that page and change the description for each page too.